We’ve all been there: chugging Skol from a plastic handle, mixing Burnett’s with off-brand cranberry juice. Well, here’s a college millennial’s hot take: we shouldn’t have to sacrifice flavor for price. 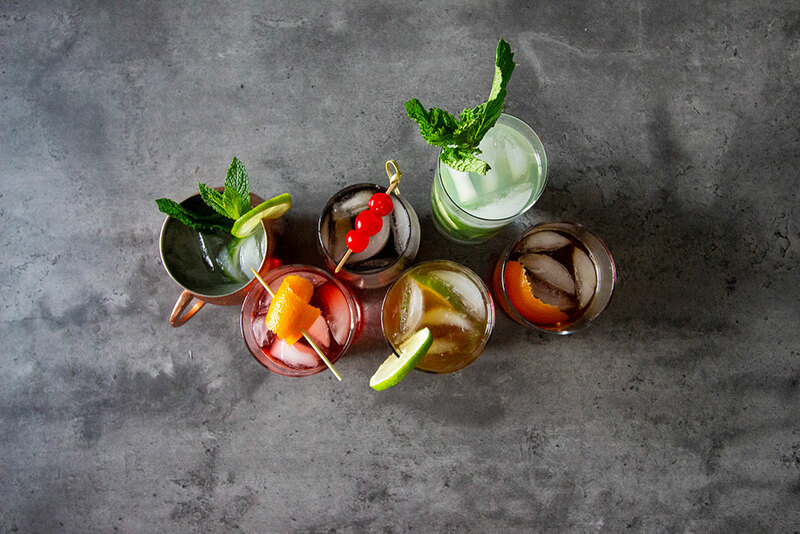 With these easy, yet affordable, drink recipes, you’ll be the best bartender at the party. Take a trip to Florence without ever leaving your apartment with this simple, yet sophisticated Italian drink. Meant as an apéritif to be enjoyed before dinner, the Negroni’s refreshingly bitter flavor is definitely an acquired taste. You’ll certainly have fun wandering the aisles at the liquor store looking for these ingredients. 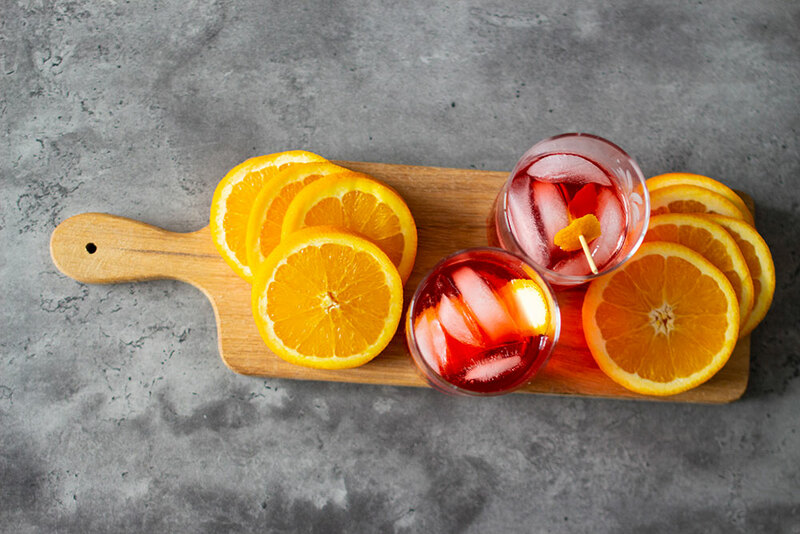 Be adventurous and pour the sweet vermouth, Campari and gin in a glass, adding large ice cubes and garnishing with an orange slice or twist. Although the famous Moscow Mule doesn’t actually involve Moscow or mules, it certainly has its own history. This American favorite was born from a perfect storm: a surplus of vodka, a new brand of ginger beer and a unique connection to the copper mug industry. Simply combine vodka –yes, your leftover Smirnoff will do –and lime juice, then add the ginger beer and a few ice cubes. 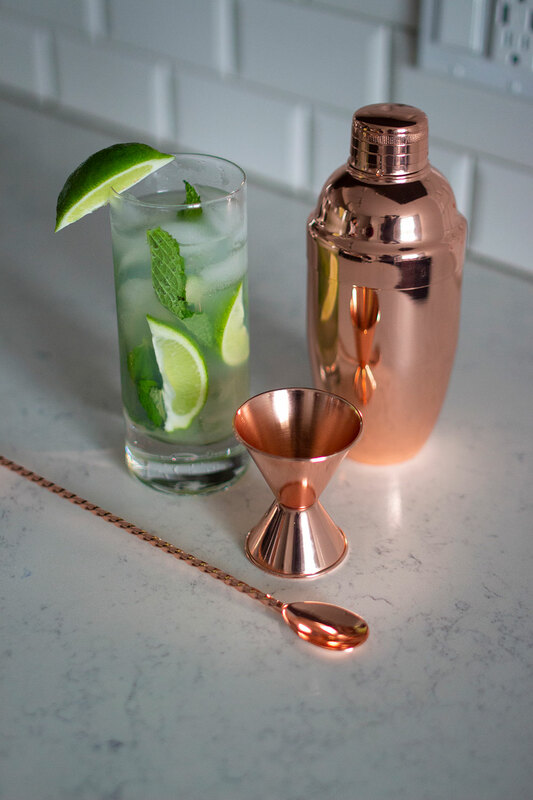 To make a true Moscow Mule, swap your red Solo cup for a copper mug, and add a lime wedge. Still wondering what to do with that leftover Bacardi on your shelf? The mojito, which hails from Cuba, could just be your new favorite drink. In a large glass, crush mint, lime and sugar together to release the mint oils and lime juice –you can use a muddler to crush them if you’re fancy. Make sure you don’t strain the mixture. Fill the glass with ice, add your Bacardi, or any white rum of your choice and fill the rest of the glass with club soda. After trying this minty, refreshing drink, you’ll never feel the need to drink straight from the bottle again. Feeling daring and ready to ditch the drab vodka-cranberry or rum and coke? Impress your friends with a Dark ’n’ Stormy, a popular drink from Bermuda, the shipwreck capital of the world. 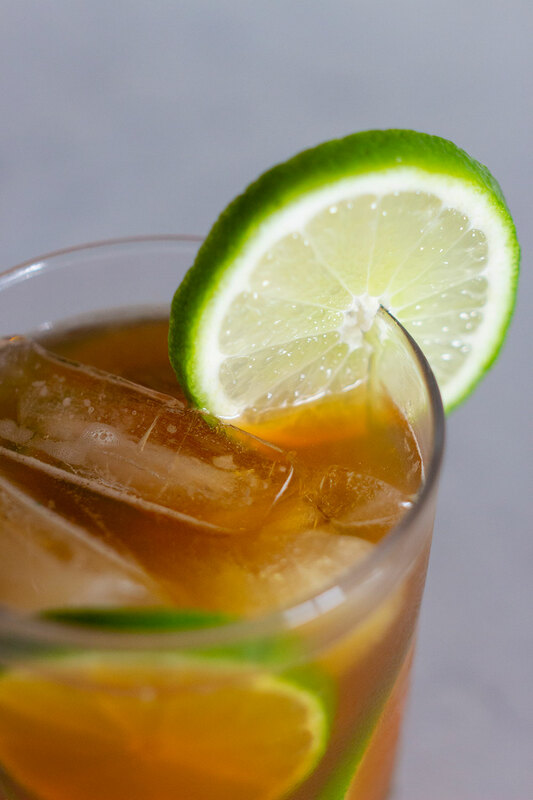 This deceptively simple drink combines black rum, the “dark,” with ginger beer, the “stormy,” to create an image of storm clouds racing across a turbulent sea. Simply fill a tall glass with ice, add Gosling’s Black Seal rum and top it off with ginger beer. For an added taste of the tropics, add some fresh lime juice and garnish the drink with a lime wedge. Looking for a drink that will keep you dancing all night but tired of your go-to Vodka Red Bull? Try a Black Russian, whose coffee-flavored liqueur will give you that needed boost of energy, as well as a veil of mystery. Just swap the Red Bull for a coffee liqueur, such as Kahlua, for a rich, sophisticated drink that was created at the beginning of the Cold War. To impress your friends, fill an old-fashioned glass with ice, pour the vodka, then add the coffee liqueur. The name of this drink pretty much says it all: it’s old. In the world of mixology, though, things get better with age. The Old Fashioned, which has been around since the birth of the cocktail itself nearly 200 years ago, remains a favorite drink to this day. Whiskey lovers: this is the drink for you. The Old Fashioned begins by mixing the simple syrup or granulated sugar with bitters and water in a small glass until the sugar has dissolved. Then, fill the glass with ice and stir in your choice of whiskey. If you’re drinking on a budget, feel free to incorporate an inexpensive brand of whiskey. Finally, don’t forget to garnish with an orange slice and a cherry. Make your own simple syrups: All you have to do is pour equal parts of water and sugar into a saucepan and heat until the sugar is dissolved. The liquid should be completely clear. Then, you can pour your syrups into jars and create your very own flavors, like mint, vanilla or even lavender. Remember the garnish: The look, as well as the taste, can define the drink. What would an Old Fashioned be without its classic orange and cherry garnish? Would you even recognize the Mojito without its signature sprigs of mint? Buy the best affordable alcohol: Everyone’s trying to save money, especially college students, but when it comes to creating certain cocktails, the quality of the alcohol can make or break your drink. If you’re torn between the $18 Smirnoff or the $25 Absolut, do yourself a favor and go with the Absolut. Buy a muddler: Muddlers act like a bartender’s pestle, allowing them to reach to the bottom of the cocktail shaker and smash the ingredients, releasing the natural juices and oils. They’re cheap, handy and allow you to effectively use fresh fruit and herbs in your drinks. Trust us, you’ll wonder why you didn’t buy one sooner. Take care with citrus fruits: When using limes, lemons and oranges, it’s important to squeeze them before using them, which releases more juice. You can actually throw your lime in the microwave for five to ten seconds and get as much as 50% more juice. Also, don’t store them in the fridge. words_anya balsamides. photos_gianna sanchez. design_elizabeth pozzuoli.